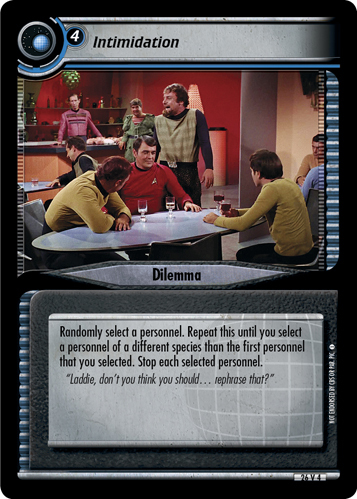 Unless you have 3 Transporters or Strength>36, all your personnel are stopped. 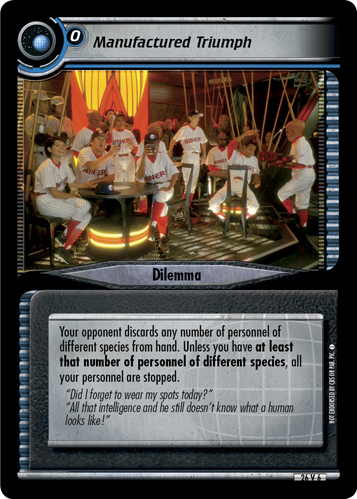 If four or more personnel of the same species are stopped by this dilemma, this dilemma's owner may discard a random card from hand to return this dilemma to his or her dilemma pile. 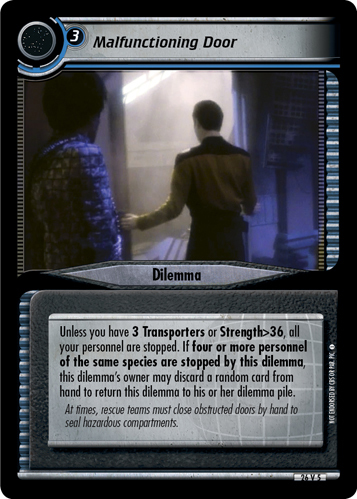 At times, rescue teams must close obstructed doors by hand to seal hazardous compartments.